New plastic from Fifth Third Bank functions as both debit and credit card and avoids Durbin cap. A new card from Fifth Third Bank promises to make the often routine cashier question “debit or credit” a lot more important for consumers who hold it and to bring the bank a strategy for getting around at least some of the Durbin Amendment interchange cap. The question has long been vital to card issuers as the consumer’s response signaled whether a debit transaction would be routed as one authorized by a Personal Identification Number or by the use of the cardholder’s signature. Debit transactions authorized by PIN brought a lower interchange rate and card issuers have often put incentives in place to try to influence consumers to choose credit, even if the consumers often didn’t fully understand what their choice meant. But, in the traditional card, no matter which authorization method a consumer chose, the money would still come out of a consumer’s checking account to fund the transaction and the new Fifth Third Bank card, dubbed the Duo card, would change that. 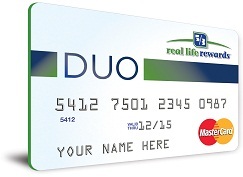 Consumers who use the Duo card would still fund transactions they authorize with a PIN from their checking accounts, but transactions they authorized with a signature would be funded by a bank-provided line of credit, one with a credit card’s finance charge and drawing the credit card’s higher interchange income. Thus the Duo card enables Fifth Third to move at least some of its debit transactions authorized by signature outside the Durbin cap and allow it to preserve its higher interchange, as well as build finance charges and other fee income associated with credit cards. Further, any transactions, such as those at restaurants, where there is no option to enter a PIN will automatically become credit card transactions. A spokesperson for the bank said that the additional interchange income aspects of the card had not been a factor in the card’s development and that the bank had developed the card after consumer research demonstrated demand for it. “We have long had the capability to do this,” Stephanie Honan said.